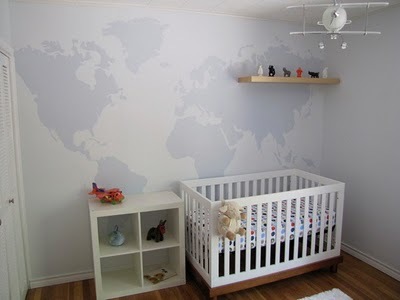 We love the painted world map wall mural in our travel-themed nursery. 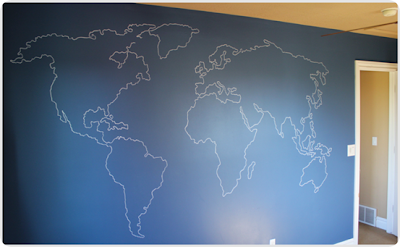 But it was admittedly a pretty large effort to get it all painted. Between outlining with small brushes, letting it dry and filling in with bigger brushes and painting it all twice to make it look even, the world map mural took over three days total. Burlap & Denim has a much simpler method to get nearly the same result. Painters pens, if I had only known.